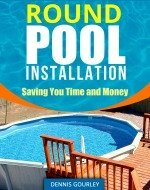 I have a 15' x 30' oval all aluminum pool which was professionally installed four years ago. The pool has an integrated 7' deck and a 1' walk platform around the entire perimeter of the pool. I live in New England and this winter has been pretty brutal. We just had a lot of rain and I noticed that the pool has sunk at the end where the deck is attached. The deck has not sunk, but is being bent down by the sinking pool. I'm hoping that come spring this condition will improve by the ground thawing, but if not, would I be able to re-level the deck without draining the pool? Of course I hope the sinking of the pool itself was consistent end to end. Otherwise I could have a bigger problem. Hi. The best solution will be if you simply have to re-level the deck, that would be the easiest. Frozen ground usually causes an upward push on the walls and has been the cause of a lot of wrinkled and creased sidewalls this winter. So for your pool to be sinking and not raising could be a more serious issue. Or is it possible the frozen ground raised the deck and the pool is just fine? You will need to keep a close eye on the structure of the pool to make sure it is safe at all times. By safe I mean still within a reasonable amount of level from end to end. The distance from the top rail to the water level should be close to the same all the way around. The pool can easily be raised at one end, or the deck lowered. The deck could also be bent back into shape easily. The repairs are all fairly easy, it's just a matter of waiting until things thaw enough to see just what needs to be done.